The Windows 10 October 2018 Update might be a mess, but that’s not deterring Microsoft from putting in the hours on the next big feature update -- codenamed 19H1 -- due out next spring. The latest release to Insiders on the Fast ring is Build 18290, and it comes with a number of improvements and additions. 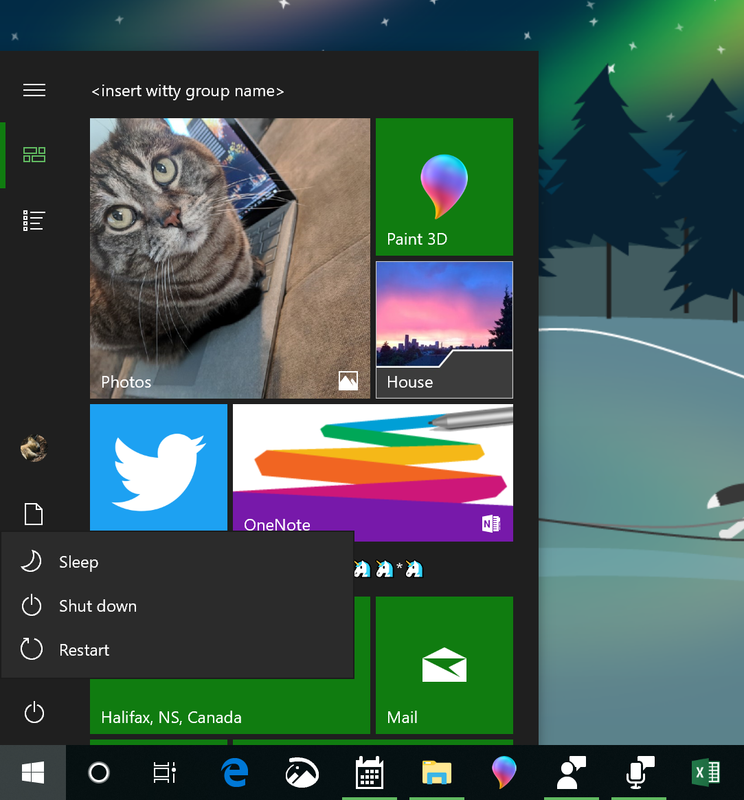 The most noticeable change is to the Start menu which gets a touch of Fluent design, making it look more attractive. Icons have also been added to the power and user menus. The Search and Cortana areas have been given a bit of a cleanup as well. Also new in this build is an option in the Date & Time Settings that will let you manually synchronize your clock with the time server. If you suspect your PC clock might be showing the wrong time, this will let you check and correct the problem if you’re right. You can now also check to see which app is using your microphone (just hover over the microphone icon to see), and when your PC has an update that requires a reboot, you’ll now be informed via an orange Windows Update indicator in the system tray. Made some updates to the taskbar to reduce the number of times you may see the icons redraw. Most noticeably when interacting with the recycle bin, although in other scenarios as well. Fixed an issue resulting in languages showing an unexpected "Unavailable input method" in their list of keyboards in Settings if you added the language via Language Settings in recent flights. The Japanese Microsoft IME introduced with Build 18272 will be returning to the one that shipped with the October 2018 Update. Added support for LEDBAT in uploads to Delivery Optimization peers on the same LAN (behind the same NAT). Currently LEDBAT is only used by Delivery Optimization in uploads to Group or Internet peers. This feature should prevent congestion on the local network and allow peer-to-peer upload traffic to back off instantly when the network is utilized for higher priority traffic. Due to a merge conflict, the settings for enabling/disabling Dynamic Lock are missing from Sign-in Settings. Microsoft has a fix, which will flight soon. Settings crashes when clicking on the "View storage usage on other drives" option under System > Storage. Insiders may see green screens with error System Service Exception in win32kbase.sys when interacting with certain games and apps. A fix will flight in an upcoming build.